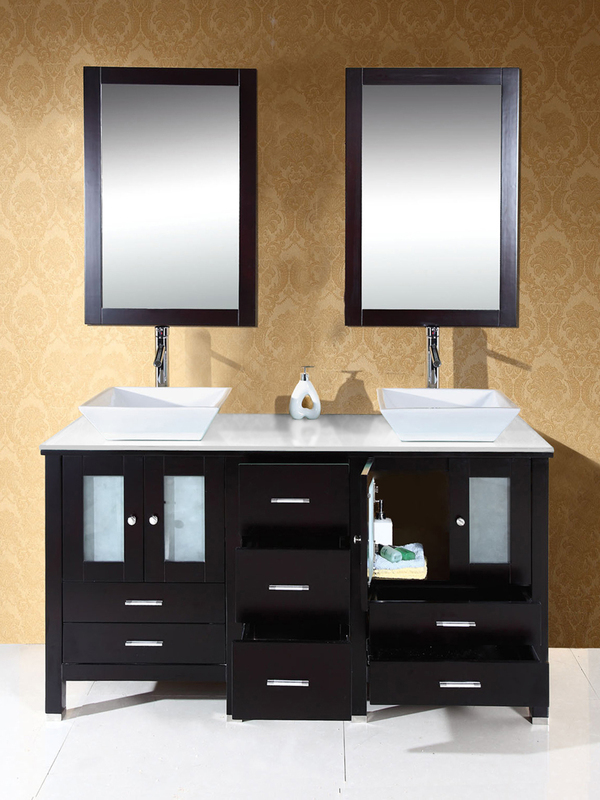 The 60" Bradford Double Sink Vanity captures a European contemporary design with a touch of warmth. This double sink design provides maximum storage while maintaining a beautiful, clean line appearance. 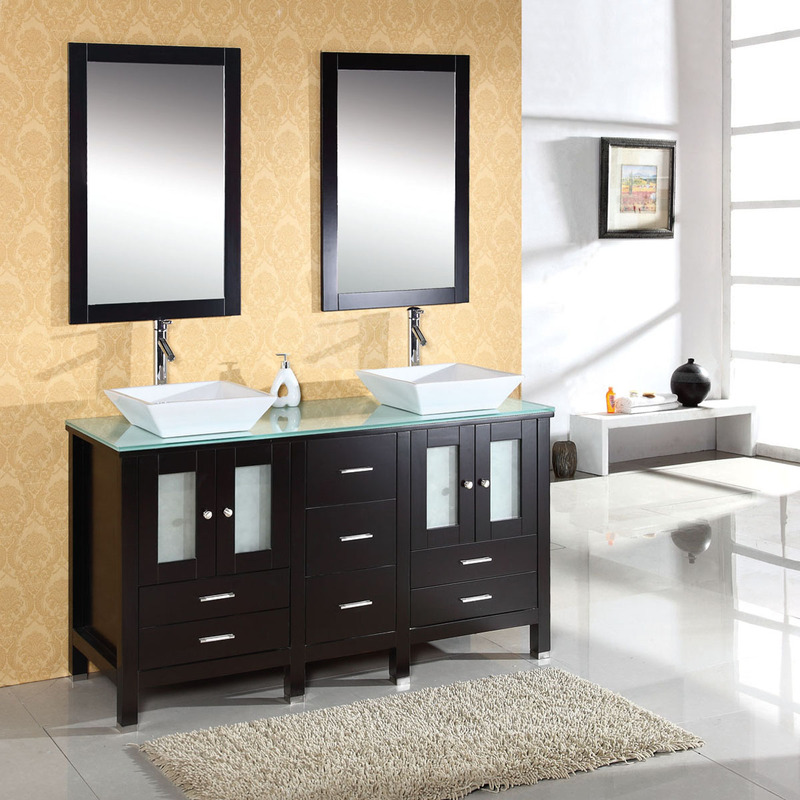 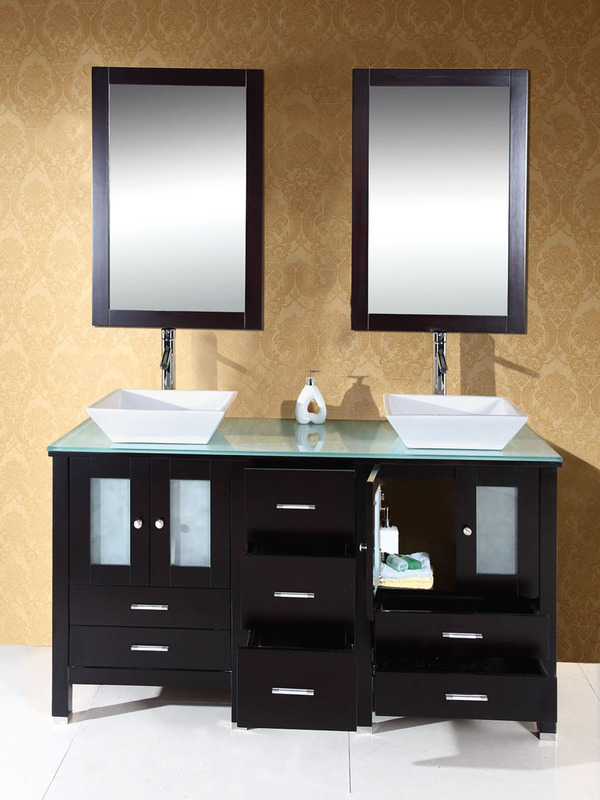 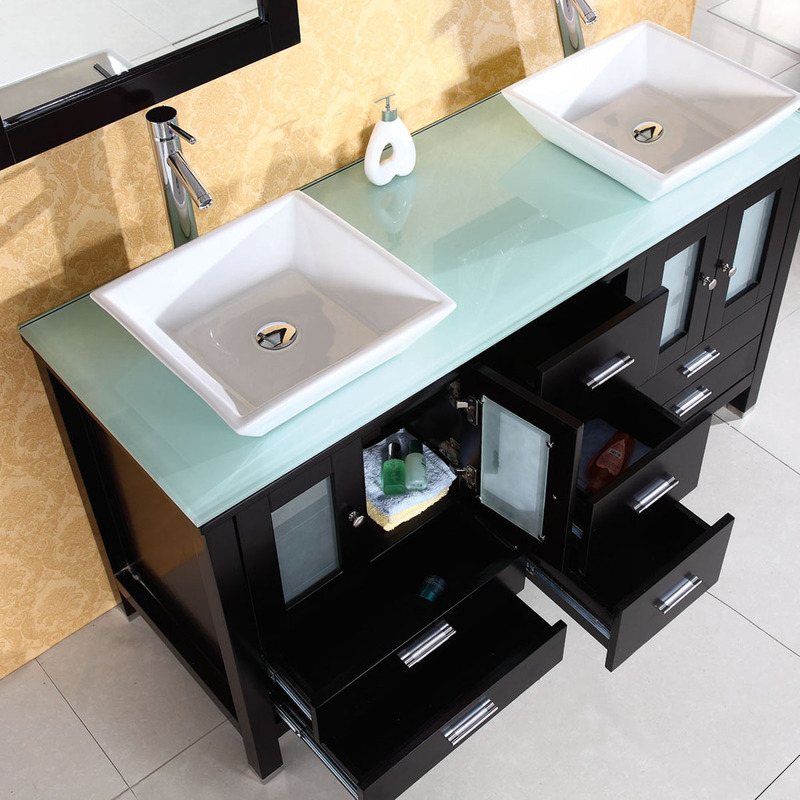 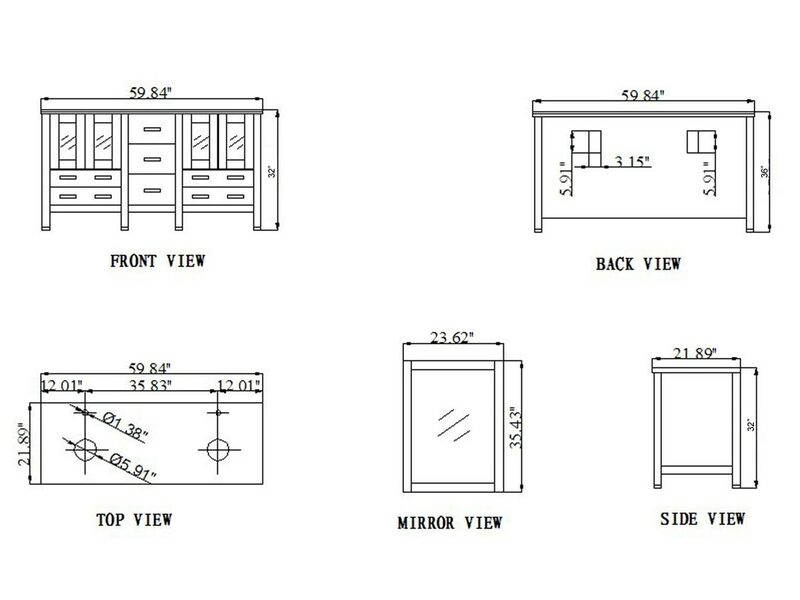 The vanity features dual modern basins on a tempered glass countertop. The complete set includes matching mirrors and faucets.